**Family VPN 7 from ibvpn. Price: $49.92/year. Discount: 70%. Categories: Hosting, Virtual Private Network. Deal Rating: 5 Stars out of 5. Store Rating: 5 Stars out of 5. Deal Recommendation: Recommended. Available Until: Not Specified. Thoughts: 7 Simultaneous Connections. Great for Multiple Simultaneous Connections. 130+ servers in 47 countries. Torrent in 9 countries. 2000+ dynamic IPs. High-Speed Connections. High priority support. Unlimited Bandwith. NAT Firewall. Double VPN. TOR over VPN. OpenVPN, L2TP, PPTP, SSTP, SoftEther, IPsec. VPN Apps. **Small Business VPN 15 from ibvpn. Price: $99.96/year. Discount: 67%. Categories: Hosting, Virtual Private Network. Deal Rating: 5 Stars out of 5. Store Rating: 5 Stars out of 5. Deal Recommendation: Recommended. Available Until: Not Specified. Thoughts: 15 Simultaneous Connections. Great for Multiple Simultaneous Connections. 130+ servers in 47 countries. Torrent in 9 countries. 2000+ dynamic IPs. High-Speed Connections. High priority support. Unlimited Bandwith. NAT Firewall. Double VPN. TOR over VPN. OpenVPN, L2TP, PPTP, SSTP, SoftEther, IPsec. VPN Apps. **Small Business VPN 25 from ibvpn. Price: $199.92/year. Discount: 63%. Categories: Hosting, Virtual Private Network. Deal Rating: 5 Stars out of 5. Store Rating: 5 Stars out of 5. Deal Recommendation: Recommended. Available Until: Not Specified. Thoughts: 25 Simultaneous Connections. Great for Multiple Simultaneous Connections. 130+ servers in 47 countries. Torrent in 9 countries. 2000+ dynamic IPs. High-Speed Connections. High priority support. Unlimited Bandwith. NAT Firewall. Double VPN. TOR over VPN. OpenVPN, L2TP, PPTP, SSTP, SoftEther, IPsec. VPN Apps. 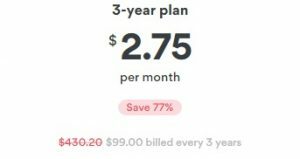 **1 YEAR PLAN from ipvanish. Price: $77.99. Discount: 46%. Categories: Hosting, Virtual Private Network. Deal Rating: 4.9 Stars out of 5. Store Rating: 4.5 Stars out of 5. Deal Recommendation: Recommended. Available Until: Limited Time Deal. Thoughts: 7-day money-back guarantee. Access to the world’s fastest VPN. 40,000+ shared IPs, 1,000+ VPN servers in 60+ countries. Unlimited bandwidth. 256-bit AES encryption. Zero traffic logs. Anonymous torrenting. Unlimited P2P traffic. Access to censored apps and websites. OpenVPN, PPTP and L2TP/IPsec VPN protocols. User-friendly apps for all of your devices. Unlimited server switching. 5 simultaneous connections on multiple devices. 24/7 customer support. 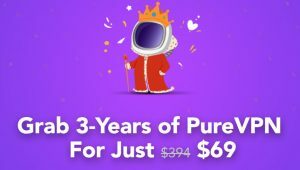 **1 Year Pure VPN from purevpn. Price: $59.40. Discount: 50%. Categories: Hosting, Virtual Private Network, Sponsored. Deal Rating: 5 Stars out of 5. Store Rating: 5 Stars out of 5. Deal Recommendation: Recommended. Available Until: Limited Quantity. Thoughts: PureVPN works like a bullet-proof sedan, allowing you to cross the busy streets of urban internet with ease, comfort, and security. Unlock the doors of restricted internet and consume your favorite content with total freedom and independence. Dips in speed can turn online entertainment into frustrating bummers. With PureVPN, you can cross all speed limits with total ease and comfort. You hate chatbots too, don’t you? At PureVPN, our support teams are pro-active who work tirelessly at all hours to satisfy your complaints and demands. **6 Months Pure VPN from purevpn. Price: $47.70. Discount: 20%. Categories: Hosting, Virtual Private Network, VPN, Sponsored. Deal Rating: 4.5 Stars out of 5. Store Rating: 5 Stars out of 5. Deal Recommendation: Recommended. Available Until: Limited Quantity. Thoughts: PureVPN works like a bullet-proof sedan, allowing you to cross the busy streets of urban internet with ease, comfort, and security. Unlock the doors of restricted internet and consume your favorite content with total freedom and independence. Dips in speed can turn online entertainment into frustrating bummers. With PureVPN, you can cross all speed limits with total ease and comfort. You hate chatbots too, don’t you? At PureVPN, our support teams are pro-active who work tirelessly at all hours to satisfy your complaints and demands. **2 Year VPN from nordvpn. Price: $79.00. Discount: 72%. Categories: Hosting, VPN. Deal Rating: 4.5 Stars out of 5. Store Rating: 5 Stars out of 5. Deal Recommendation: Recommended. Available Until: Ongoing Deal. Thoughts: Access over 2788 servers worldwide. No logs policy. Connect 6 devices at the same time. Ultra-fast Servers For Video Streaming. Onion Over VPN. Double Encryption. **1 Year VPN from nordvpn. Price: $69.00. Discount: 52%. Categories: Hosting, VPN. Deal Rating: 4.5 Stars out of 5. Store Rating: 5 Stars out of 5. Deal Recommendation: Recommended. Available Until: Ongoing Deal. Thoughts: Access over 2788 servers worldwide. No logs policy. Connect 6 devices at the same time. Ultra-fast Servers For Video Streaming. Onion Over VPN. Double Encryption.